Some people travel to New Orleans for Bourbon Street, some to see their favorite teams play at the Superdome. Some go for the history, others for the shopping. 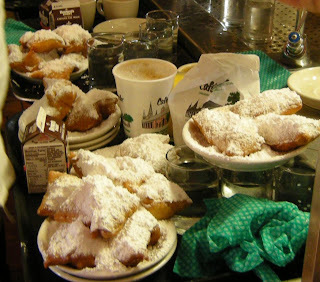 One thing that most people will agree upon, though, is that you go to New Orleans to eat. Here are nine great places you should try -- some of them well known, others under the radar -- that will help guide your way through the city’s culinary history. hours -- and that’s no joke. The restaurant is open 24 hours a day, seven days a week -- it only closes on Christmas Day and when hurricanes come too close to New Orleans. Watch out for the militant pigeons -- they will actually land on your table if you allow them. 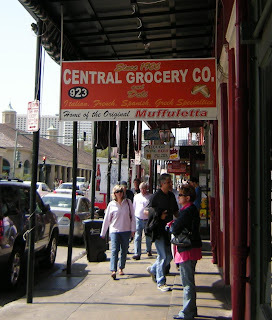 Central Grocery. This is the home of the muffaletta -- a gigantic round sandwich on a split Italian loaf, packed with Genoa salami, Cappicola ham, Provolone cheese and the store’s own famous olive salad. 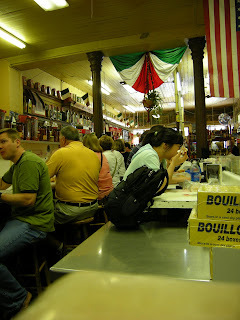 Diners sit on barstools at long counters or ask for their order to-go. The line at lunch stretches through the store and out onto the street. You can also find hard-to-find staples such as foreign olives, chocolate, and confections here -- and you can buy a jar of olive salad to take home. 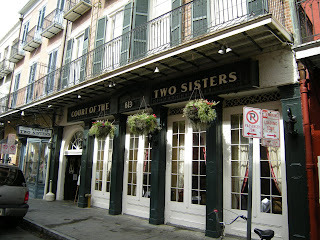 The Court of the Two Sisters. The most elegant dining you’ll ever experience at a buffet. 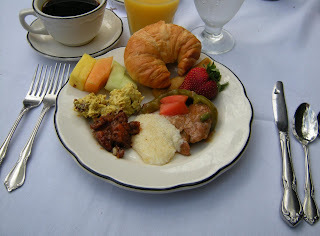 The World Famous Jazz Brunch is served every day from 9 a.m. to 3 p.m. Choose from dozens of items on the hot buffet (Grits and Grillades, Shrimp Creole, Jambalaya, BBQ Pork Ribs), the cold buffet (seafood mousse, curried chicken salad, ceviche, pasta salads, fresh fruit), piles of cooked crawfish and shrimp, and desserts. 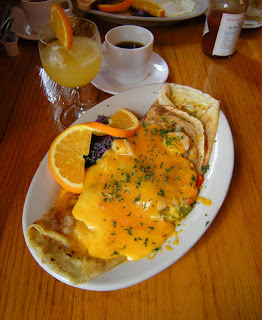 You can also special order Eggs Benedict or the house favorite, Shrimp and Crawfish Omelet. Dinner offerings include Duck a l’Orange and Veal Oscar and a host of flaming desserts. 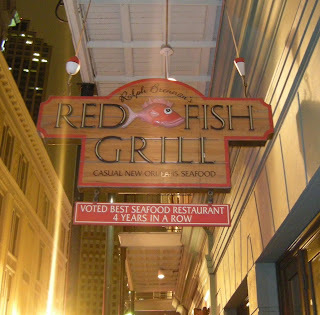 Red Fish Grill. The first place to receive a health certificate after Hurricane Katrina, this low-key Ralph Brennan enterprise is home to eclectic offerings such as BBQ Oysters and Crawfish Green Onion Sausage. The house salad is unusual: romaine lettuce spears topped with red onions, roasted sweetened pecans, tomatoes, and Stilton cheese with an apple walnut vinaigrette. 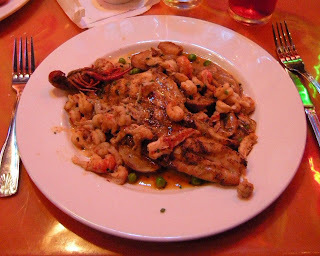 The signature Hickory Grilled Redfish is smoky and delicate and topped with Louisiana crawfish tails. 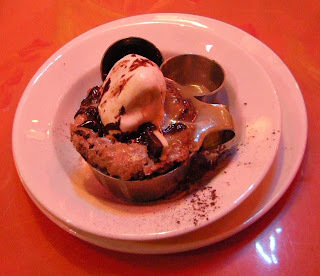 You’re doing yourself an injustice if you don’t save room for the Quarter’s best bread pudding -- the Double Chocolate Bread Pudding is cooked to order (order it with your meal), a dark and semi-sweet bread pudding topped with white and dark chocolate ganache and almond bark. Get yours a la mode. 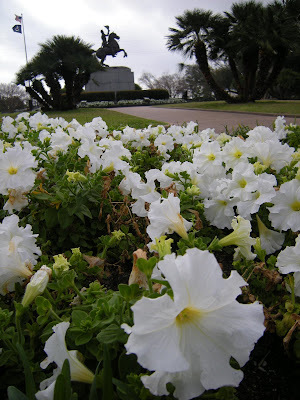 Petunia’s. 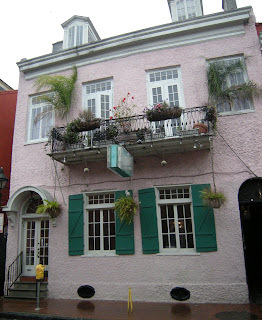 This delightful little restaurant off Bourbon Street is known to the lucky as the best stuffed crepes in the world. Breakfasts are large and feature lovely omelets and gigantic sausages -- but you’re cheating yourself if you don’t hop over to the lunch crepe menu and enjoy a Crepe St. James: a thin crepe packed full of shrimp, Louisiana crabmeat, onions, peppers, and cheese. 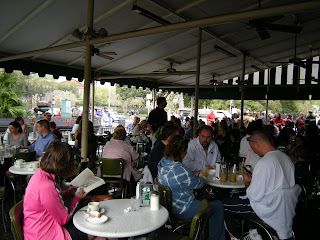 Large portions, and the best mimosa in the French Quarter. 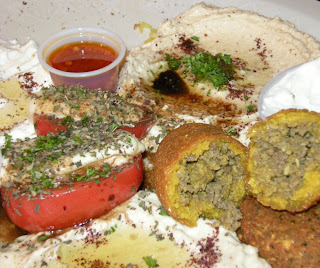 Attiki Grill. 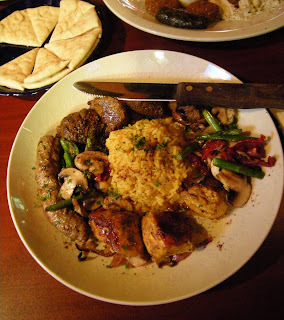 Escape the ordinary Cajun and Creole fare and relax in this comfortable Decatur street Mediterranean experience. Guests enjoy a wide selection of martinis and hooka offerings along with an extensive menu of Greek and Middle Eastern specialties like kebabs and pastas. Open for lunch and late night, too. Coop’s Place. When you’ve tired of watching the amusements on Bourbon Street late at night, head over to this Decatur Street bar. It doesn’t look like much from the outside, but inside the diminutive pub you’ll discover culinary delights like Charbroiled Lamb Ribs with Red Pepper Jelly and Crabmeat Stuffed Jalapenos. Satisfy all your cravings with the Coop’s Taste Plate -- a heaping platter full of Red Beans and Rice, Shrimp Creole, Rabbit and Sausage Jambalaya and rice and a piece of pan fried chicken, with a side of Seafood Gumbo. And don’t miss out on one of the most incredible subtleties you’ve ever tried -- Smoke Duck Quesadillas, a perfect blend of cheeses, smoky meat, and piquant sweet sauce. 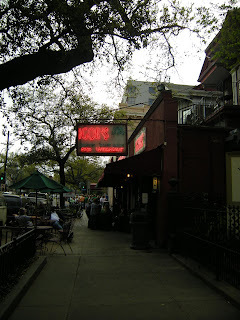 Igor’s. The menu may be small, but the portions are not. 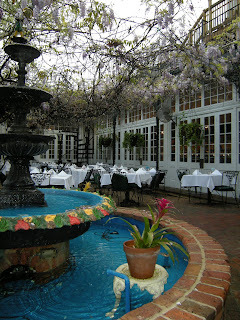 This legendary Garden Distict eatery is also one of the best bars you’ll find outside the Quarter. It’s also a Laundromat, pool hall, and book store. 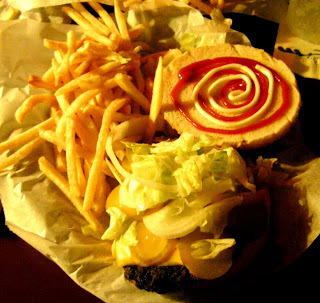 The menu is limited to burgers, fries, and pub fare, but you won’t find a bigger burger at a better price. The half pound Igor Burger is the gold standard; but if you’re looking for an extra kick, go for the Cajun Burger. Best thing? Igor’s is open 24 hours a day, and you can stay as long as you want. The New Orleans School of Cooking. 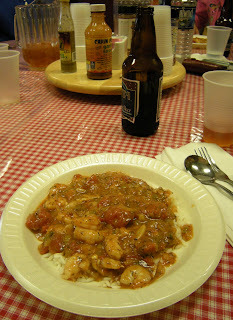 Don’t limit yourself to eating Cajun and Creole fare only when you’re in New Orleans. 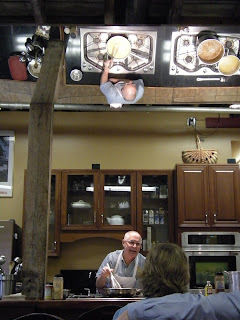 Spend a morning at the New Orleans School of Cooking. Best part is, you get to eat the items on the day’s menu as part of your class. 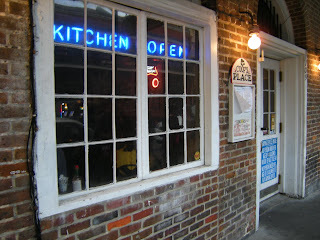 Dishes are served with iced tea, Abita beer and root beer, or coffee. Be sure to allot extra time to check out the General Store. 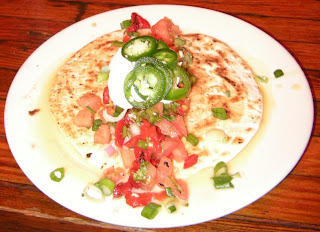 I tried Attiki bar and grill in August and wow, I am so glad you suggested the place. 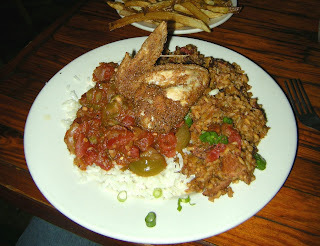 I had New Orleans food and wanted a change and I was blown away from the whole atmosphere what New Orleans was about. 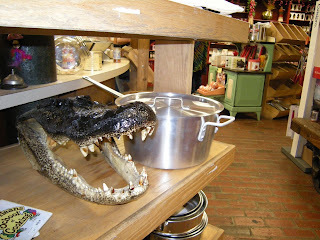 I am glad I can go to a place to taste a change than New Orleans food. All I have to say is WOW and glad you suggested a place that really lived up to my expectation and more. Will go there again certainly. Thanks.